Welcome to my little corner of the e-world. 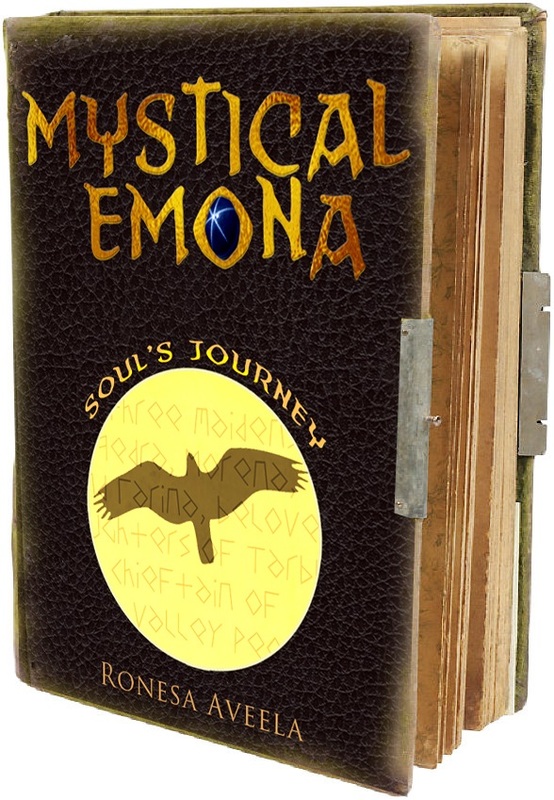 Today I am hosting Ronesa Aveela, author of “Mystical Emona: Soul’s Journey”. Bulgarian folk music and dance are quite different from what Americans are used to. Dances are performed by men and women in lines or circles (horo). The performers wear traditional, colorful garments of primarily white, red, and black, embellished with much embroidery. The colors and designs have meanings. White and red represent the sky and earth, the marriage of the male and female gods of creation, while black is the destruction of the earth, when it is no longer fertile. Traditionally, the embroidered designs were not symmetrical because this was considered a diabolical creation. To have symmetry was to invite the evil eye. The dancers move their feet in fast, intricate patterns, or at times, slow and deliberate ones. They often jump and shout while they twirl around a room. The music has an eerie, hypnotic quality to it. Common instruments are the gaida (a bagpipe made from goat’s skin), kaval (a flute-like instrument), tupan (drum), and outi (stringed instrument). The whistling of the wind sounded like a reverent song drifting out of the forest. He moved toward it, stopped, and spun around. The tune came from every direction, as if the forest itself sang a hymn of praise to the arrival of spring. Riveted by the music, he remained immobile until the last note drifted away like mist evaporated by the sun. So unlike any song he had ever heard, it filled him with peace, and he experienced a oneness with nature. On that glorious wedding day, festivities abounded in the village. The aroma of roasting game from the magnificent feast mingled with the fragrance of flowers decorating the streets and houses. Joyous, mellow notes of zurlas joined wailing skirls of gaidas and the steady beat of sticks against tupans. Music vibrated through the air, drowning the clamor of the multitudes. Combine the music with the lively dance, and get swept away to another place and time. Listen to the following to get a sense of what you might have heard had you been there. Thanks for coming by, and I hope to hear nothing but good things for this book. Much success! 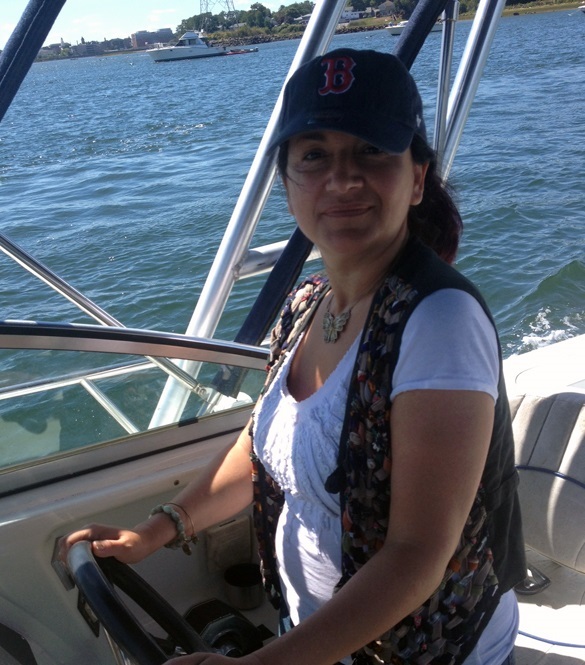 This entry was posted in Uncategorized and tagged author, author spotlight, blog, blog tour, Bulgaria, dancers, folk music, instruments, music, Rave Reviews, Ronessa Aveela, Soul's Journey, symbols, traditions, wedding. Bookmark the permalink. Thank you so much for hosting me today. It was fun learning so much about Bulgarian culture and history. I hope others enjoy it as much. I think I’m going to look into it further. The symbolism is fascinating, just from what little I read on your post. We have much more about various traditions and rituals in the rest of the blog tour as well. Fascinating post, Rebecca. I loved the music, especially the guy playing the Outi, his fingers were lightning fast! Thanks for hosting K.R. Morrison. I listened to that over and over when I was trying to write a scene where one of the characters in the book is playing the outi. It’s not so easy to try to capture the sound with words. Hi Ronesa. I listened briefly to the YouTube music and songs of your native Bulgaria and I must say it was enlightening and different. I especially enjoyed the beautiful singing. The bagpipe sounds were interesting as well; 300? Anyway congratulations on your time in the spotlight. Its nice learning about different cultures. K.R. Morrison thank you for hosting today. Congratulations Rebecca. Enjoy the warmth of the “spotlight” this week. It is an amazing place to be. Thank you K. R. Morrison for hosting Rebecca. Congratulations Rebecca/Ronesa on being named Spotlight Author. I hope it is a successful week. I will be hosting you tomorrow on my blog, so look forward to seeing you tomorrow. Thank you. I look forward to it and showing people more about the wonders of Bulgarian history and culture. Congratulations on your Spotlight week, Rebecca! Your book sounds fascinating – a great story enhance by the richness of this unique culture! I too, enjoyed the music you provided. Looking forward to learning more from your tour. Good luck with your book! Thanks for hosting, K.R. Morrison! Thank you. The unique culture is what makes the book so interesting in my opinion. It is a story about the people. K.R., thank you so much for showing your support! Congrats on your SPOTLIGHT Author nomination, Rebecca! I hope you’ve been enjoying your time in the SPOTLIGHT. 🙂 K.R., we so appreciate your hosting Rebecca – thank you, sweetie! It has been a pleasure. Tiring, but enjoyable.